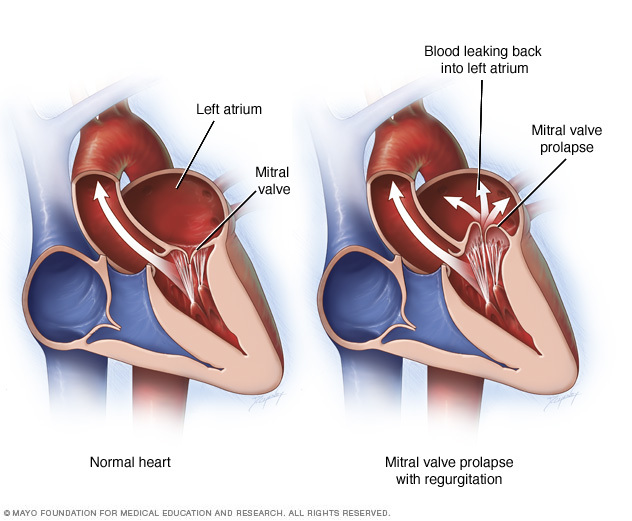 Mitral valve prolapse (MVP) is a type of valvular hear disease where the leaflets of the valve are superiorly displaced. most cases of mitral valve prolapse are idiopathic (primary mitral valve prolapse with no underlying cause identified). Genetic conditions can also be causes (such as Marfans), as well as MIs that involve papillary muscles, endocarditis, and rheumatic heart disease. 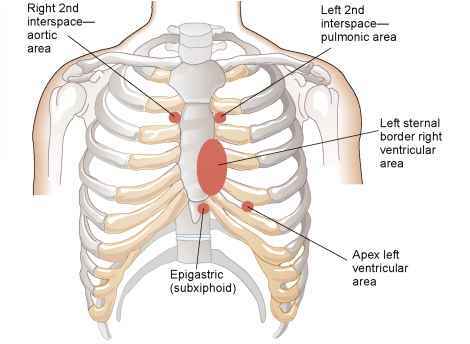 Due to myxoid degeneration (accumulation of ground substance) of the valve, making it floppy. Mid systolic murmur with also an occasional palpable thrill. This is a late systolic crescendo murmur that also has a midsystolic click (this click is caused by increased pressure then release). Best heard over the apex. Changing resistance (squatting/standing. lying down) will alter the location of the click! This can depend entirely on the underlying cause of the MVP, however this can be a benign murmur. The prognosis is more favorable if the patient has not developed mitral regurgitation.